Mined from metamorphic and igneous rock, it varies considerably in crystallinity. With a melting point of 3650°C (6602°F), natural graphite remains stable over a wide range of temperatures, making it an excellent conductor of heat and electricity. Natural graphite is further divided into three material subcategories: amorphous, flake and high crystalline. This mineral is most frequently used for refractories, batteries, steelmaking, expanded graphite, brake linings, foundry facings and lubricants. Synthetic graphite can be made using coke and pitch. Though not as crystalline as natural graphite, it does tend to be of higher purity. Generally, synthetic graphite has a lower density, higher porosity and higher electrical resistance. Because of its porosity level, it is not suitable for refractory applications. Graphite manufacturers are able to market their products to many different people, because of its wide range of application. Graphite manufacturers may produce alpha silicon carbide or beta silicon carbide, chemical compounds of silicon and carbon. These compounds act as highly sinterable, non-oxide ceramic powders. These are sold to customers for a number of uses. Alpha SiC is used to make high-performance wear parts, such as seal rings and pump parts, and used for armor and abrasive applications. Beta SiC is also used in high performance wear parts, as well as in toner, for increased flowability and internal printer cleaning, and in nickel, chrome, aluminum and other metals for strength. Another market dominated by graphite manufacturers is the market for energy materials. Graphite is used in primary alkaline batteries, ion-lithium batteries, lead acid batteries, rechargeable alkaline batteries, fuel cells and many other electrochemical systems. Graphite manufacturers hold their own in the refractory world, where the graphite they sell is used to build kiln and blast furnace bricks. It is also used to produce crucibles, ladles and moulds for holding molten metals. Graphite flake is one of the most commonly used materials in the manufacturing of refractories made for the continuous casting of steel. With graphite’s extremely high melting point, a manufacturer cannot go wrong by catering to the chemical industry. Graphite is used in such high-temperature processes as the production of phosphorus and calcium carbide in arc furnaces. It is also used to conduct electricity in some aqueous electrolytic processes like the production of halogens like chlorine and fluorine. 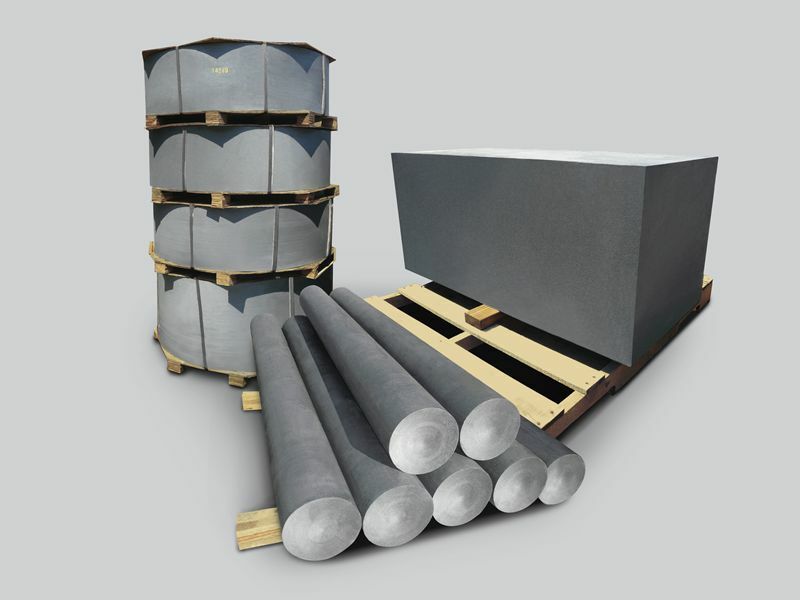 High purity electrographite is well-suited to the nuclear industry because of its low absorption of neutrons, high thermal conductivity and maintained strength at high temperatures. It is used in large amounts in the production of moderator rods and reflector components in nuclear reactors. Graphite manufacturers have an enduring presence in the world of mechanics and engineering. 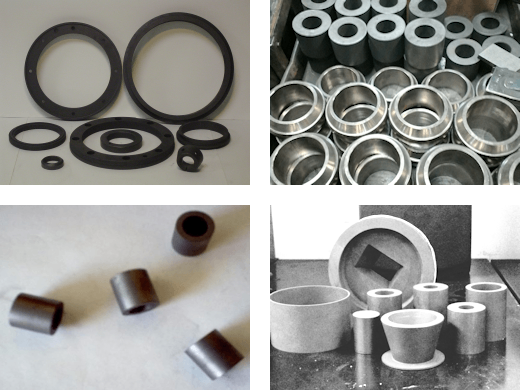 Applications include piston rings, thrust bearings, journal bearings and vanes. Additionally, graphite-derived carbon based seals are used widely in the shafts and fuel pumps of aircraft jet engines. Whatever the need, there is a graphite manufacturer waiting to get the job done. Graphite Manufacturers Graphite is a mineral that is heavily used across industry lines. It comes in both natural and synthetic forms. Natural graphite is a semi-metal mineral, which is largely made of carbon.